Home / Showbiz / TIWA SAVAGAE AFUNGUKA KUHUSU TUHUMA ZA KUMSALITI MUME WAKE [VIDEO]. TIWA SAVAGAE AFUNGUKA KUHUSU TUHUMA ZA KUMSALITI MUME WAKE [VIDEO]. Speaking on the same day of Tee Billz’s allegations at her home, the award winning singer said her marriage to her former manager was filled infidelity, emotional abuse, drug use and mismanagement of funds. She also made claims that Tee Billz lives an expensive, wild and sadly unaffordable lifestyle which has embarassed her several times. In the interview Tiwa Savage also mentioned that the Economic & Financial Crimes Commission (EFCC) and his debtors are on the hunt for him because of his N45m alleged debt. 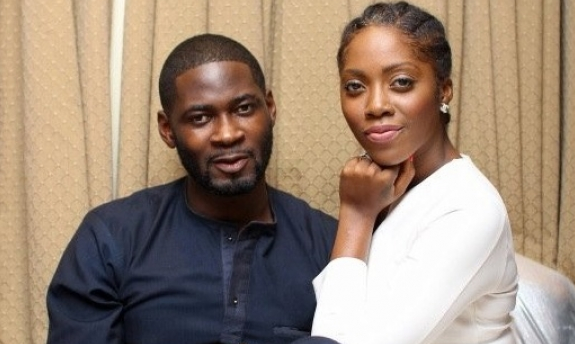 Although she says is done with her marriage, Tiwa Savage said she is still praying for Tee Billz. ew conducted by Azuka Ogujiuba of This Day Newspaper, Tiwa Savage spoke about her husband and former manager Tunji ‘Tee Billz’ Balogun.